Carrara Venato Bathroom and Shower. Looking Incredible! 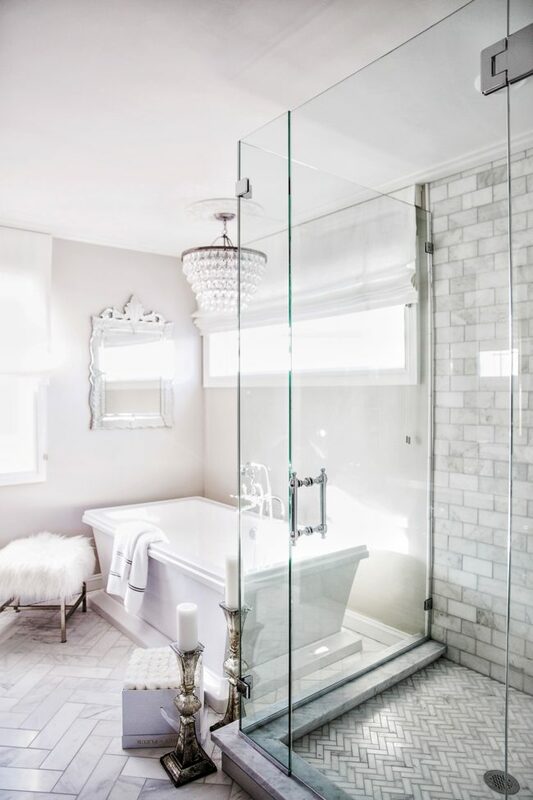 Amazing bathroom by Maria and her website page shows off even more pictures of the makeover. The bathroom and the Carrara Venato has gone together incredibly well. It is (all current prices… subject to change, blah…blah….blah… legal ramble). The bathroom is from the Carrara Venato Collection where we can match up over sixty products creating almost any look, but the classics like this look fantastic. 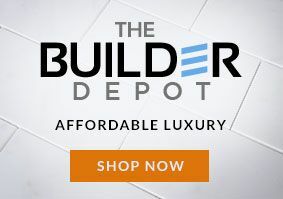 Subway tile 3×6″ honed $7.00 a Sq.Ft. on shower the floor, feature wall and niches is 1×3″ Herringbone Honed Mosaic $11.45 Sq.Ft. then Pencil trim to picture frame in the Herringbone and then our 4×12″ honed $8.00 a Sq.Ft. in a Herringbone on the bathroom floor. Keeping the trend of Herringbone flowing throughout. I see similar bathrooms designs from other customers. Except they may choose a Hexagon, making the 2″ Hexagon in the shower floor and niche and then a 5″ Hexagon on the bathroom floor. Then again with basketweave, but by far it is Hexagon and Herringbone are the most popular. Irrespective of the choice, we have the ability to open boxes and make the match prior to shipping. The fixtures look amazing too. The entire bathroom is amazing. The sources are revealed on Maria’s blog. The guys working at the warehouse did a great job selecting matching lots. But have you also seen Maria’s Instagram page. I am so impressed. I admire anyone who is a success (they are not a drain on society, they are a asset to society) and this work, the quality of pictures is exceptional, well worth looking at even from that perspective of an incredibly well managed social media account. Everything is managed and branded seamlessly. Love it and love to see others doing well. Carrara Venato 4×12″ Subway Tile on the bathroom floor. 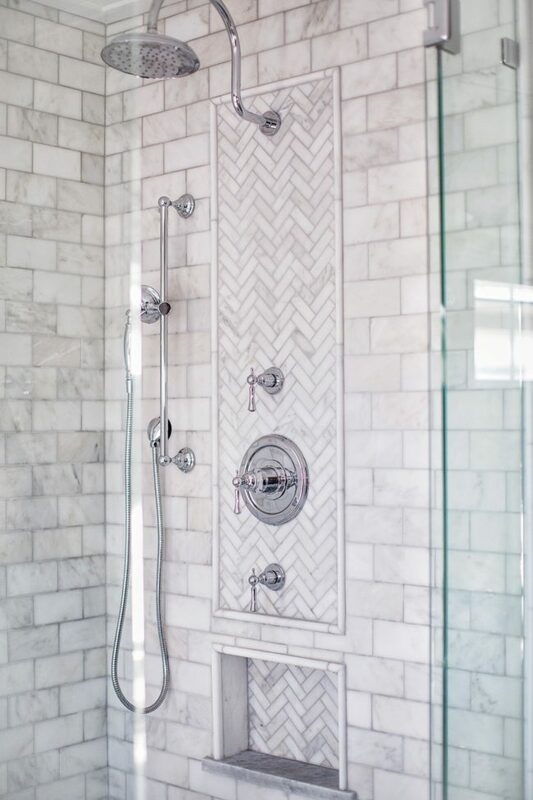 Herringbone 1×3″ on the shower floor and 3×6″ Subway Tile on the shower wall. Previous Previous post: Carrara Venato & Bianco 1×3″ Herringbone (and answer to fireplace question). Next Next post: Another Perfect Carrara Venato Shower and never tire of seeing them! Nero Marquina 2×12″ Herringbone. Grout looks Perfect!! Simply Amazing Bathroom with a Bold Hexagon choice. Carrara, Cement Tile. Incredible. The Never ending Trend!